Mosoq Huayra, is a company of young professionals exclusively to provide tourist services. We are specialists in tourism accessible to persons with disabilities, giving due attention at the highest level, discovering the charms and giving the opportunity to know the attractions that Peru has, especially Qosqo as the mysterious and charming throughout Latin America destination and world. Trust us and we will know give you the service you need with the highest quality, a personal and humane treatment and the best price. This trip allows to visit one of the highlights on the lake "the uros floating islands" an ancient ethnic group of people living on lake Titicaca since pre-incan times, they are still maintaining their original lifestyle just fishing, hunting birds, gathering eggs and using the reeds almost for everything even to eat. The men are excellent sailors and the women are expert weavers. Pick up from hotel approximately 4:00 am to go to the Ollantaytambo train station which is 1 hour 45 minutes from the city of Cusco and then embark on the train and with a distance of 1 hour 50 minutes by train to reach warm waters of Machu Picchu, after a reception at the station we go to the bus station, we will continue with a 30 minute trip by bus to reach the top of the mountain where our historic sanctuary of Machu Picchu. 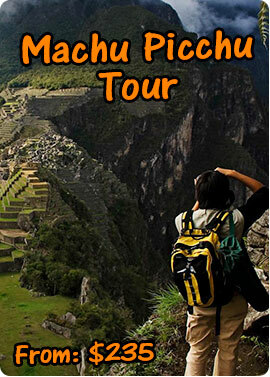 Mosoq Huayra Travel is a travel agency in Cusco that offer tourist packages to Cusco and Machu Picchu. Our services cover all aspects of your travel, ensuring that your holiday be unforgettable. 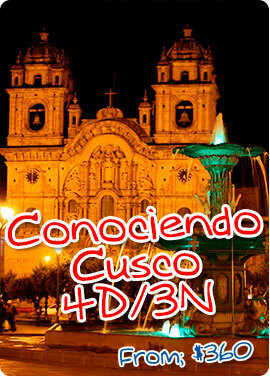 We offer tour packages in Cusco for disabled people as well as travel and adventure tourism in Cusco and Machu Picchu.